All the President’s Men (1976) is an intense, paranoid drama about journalism. It’s about writing a story when you don’t know what the story is. Naturally, this is a film about words and, to emphasize this, we see evidence of words everywhere. Newspapers and manuals crowd journalists’ desks. Shelves of books line editors’ offices. Stacks of paper occupy journalists’ apartments. Then there are the actors themselves, who are continually writing – in dog-eared notebooks, on matchbook covers, on typewriters smudged with ink. Dangerous words are being written. Words that, once published, are not easily taken back. Words that will end careers, and put government officials in prison. They are words that will topple an American president. All the President’s Men is adapted from the 1974 nonfiction bestseller by Washington Post journalists Carl Bernstein and Bob Woodward. It chronicles their investigation of the Watergate cover-up that ended Richard Nixon’s presidency. The film stars Dustin Hoffman as the charismatic, chain-smoking Bernstein, and Robert Redford as the soft-spoken, tenacious Woodward. The two Post journalists are originally assigned to cover an unusual burglary in the Watergate office building in Washington, D.C. In June of 1972, five well-dressed but non-savvy men break into the Democratic National Committee headquarters late at night. The journalists soon discover these clumsy burglars have expensive lawyers, as well as connections in the Nixon administration. The Watergate scandal happened more than 40 years ago but, aside from the manual typewriters and rotary-dial phones, the film feels fresh. It’s a fascinating look at journalists fumbling their way through a maze, not quite grasping where it leads. This gritty, quasi-documentary depicts the frustration and fruitless hours spent on a story that refuses to be told. In one scene, director Alan J. Pakula centers the camera on Redford during a phone call. Redford is tense, focused, stubbornly trying to pry information from a source. The camera then sequesters Redford; the more shocking the news Redford receives, the closer the camera inches towards him. It’s one camera, one shot, and the result is so taut you hardly dare breathe. Scenes like this make you all too aware of the director’s interference, which is something we (as in, yours truly) normally dislike. In fact, Pakula is directing us (the audience) while he’s directing the camera, but we don’t mind. We’re grateful. Because in a film crammed with dead ends and unanswered questions, it’s a relief to be shown what’s relevant. For example, look at the image below. It’s an overhead shot of Hoffman and Redford in the Library of Congress. They sit at one of these tables, combing through hundreds of slips of paper. Pakula’s camera starts at the table, then pulls upwards until you can’t identify the two men at all. It gives you an overwhelming sense of what they’re up against. Meanwhile, the investigating and the writing continue; the rhythmic clacking of typewriters providing the film’s soundtrack. From the beginning, the film never lets us forget the words that are poured into the Watergate story. The opening sequence, for instance, shows us a blank sheet of paper in a typewriter. Suddenly, the words June 1, 1972 are pounded into the page with loud, angry strokes. One of the most haunting images in the film occurs near the end, in the Post newsroom. A television is broadcasting President Nixon’s swearing-in ceremony, an affair laced with military music, balloons, and a 21-gun salute. The camera slowly moves forward until we see Redford and Hoffman behind the television set, hunched over keyboards, oblivious to the televised goings-on – which now seem hollow. The men type steadily, deliberately, the typewriter keys like pickaxes, hammering at a presidency that will not be able to withstand it. All the President’s Men was nominated for eight Oscars and won four, including the award for best adapted screenplay. It really is a film you ought to see. All the President’s Men: starring Dustin Hoffman, Robert Redford, Jason Robards, Jr. Directed by Alan J. Pakula. Written by William Goldman. Warner Bros., 1976, Colour, 138 mins. 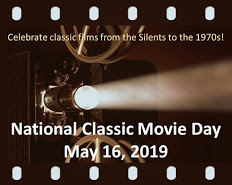 This post is part of the CMBA Spring Blogathon hosted by the Classic Movie Blog Association. Click HERE to see all the fab entries. This is terrific! I love this movie and have seen it twice in the past month. I’ll have to watch it again and look for the details you’ve mentioned here thank you very much. Fun! And bravo for a great read about one of my favorite movies. For some stupid reason, I haven’t seen this. It’s always been floating around in the ether, but this post reminds me that I need to sit down and breathe it all in. Nice work, as always. 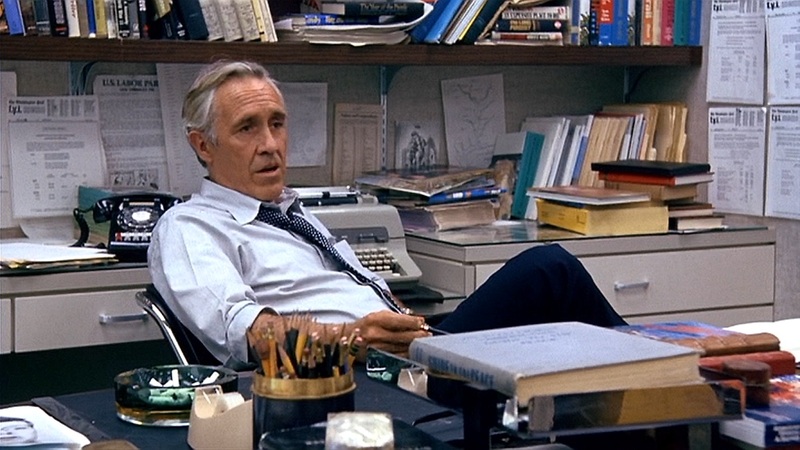 All the President’s Men is the best film about what it means to be an investigative journalist. The book is also riveting and historical. For those of us, like me, who lived through this period it is even more impressive and shocking. This year’s Oscar winner for Best Picture, Spotlight, is another brilliant look at journalism but still a second place finish to Pakula’s film. A fabulous post!!! Yes, I agree. I liked Spotlight very much, but I didn’t think it was quite as good as All the President’s Men. I read the Bernstein/Woodward book a few years ago, and could not put it down. It must have been a depressing time to be an American and see such high-level corruption…? Whew! You had me caught up again in the true life tale of intrigue and shame. Words indeed! Haha! Yes, it’s a true “literary” movie that doesn’t have pretentions, in my opinion. It certainly was a big story. I remember how excited I was when this movie came out and how exciting it was – and how it just reinforced the respect I had for those men and women of the press. We sure could use some of that today, couldn’t we? Great choice and a compelling read! You did right by a great film. Thanks! Yes, a person leaves the film with a LOT of respect for journalists, and editors, and those in charge (e.g. Ben Bradlee). It was courageous of them to continue with the story, especially when they were under so much pressure to stop. You are right about the writing in this. Even if you know exactly how everything played out it manages to be suspenseful. True story: I saw this in the theater when it was first released. A couple of teenagers sat in back of us and one girl asked the other if it was a true story! I too saw this movie upon release, and it was electrifying. I really liked the way you pointed out the director’s involvement, particularly “Pakula’s camera starts at the table, then pulls upwards until you can’t identify the two men at all. It gives you an overwhelming sense of what they’re up against.” Great insight! This would be a real treat to see on the big screen. I bet there were some fascinating discussions as people left the theatre! Love the way you highlight the force the typewriter has, how it’s a reminder of those words’ impact. I haven’t seen this film in a very long time (and the book and it blur together in my memory), but your descriptions brought it back to me. I love the frequent use of typewriters in this film. They look old and clunky, but they sound brisk and efficient. They sound like they Mean Business, don’t they? Great review of a great movie. Your observation about Pakula directing the audience is spot on. Only the best directors can do that. Both Hitchcock and Ford were masters of controlling the audience. I also agree with everyone who said this movie is better than Spotlight. Yes, you’re right. Both Ford and Hitchcock were very skilled at controlling the audience. I loved Spotlight and was pleased it won the awards it did…but All the President’s Men set a very high standard. It’s definitely one to see, but oh man were they young! They were really young, weren’t they? Just kids! This is a movie that I missed somehow and would really like to see. I remember bits and pieces vaguely of the Watergate Scandal. I was at the age when I didn’t pay too much attention to politics. Can’t wait to put it on my list and am going to put it at the top. I really appreciate when you point out things to notice while watching such as the typewriters’ sound and the director’s camera views. Wonderful review. Thank you, Ruth! I saw this month where this movie is available on demand and now, obviously, I will have to revisit it. Alan J. Pakula directed some of the most interesting films of the 1970s and 1980s (my fave may be KLUTE). Loved the overhead photo you included. And you’re right, the two journalist do indeed always seem to be writing. Klute is one I still have to see, but I’ve read many terrific reviews of it. 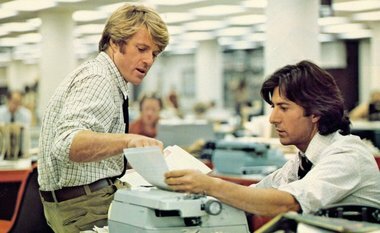 About the writing in President’s Men: It really struck me, the last time I watched this, that Redford and Hoffman are always pulling pen & paper from somewhere to make notes. It’s one of the things that made them completely believable, in my opinion. Oh you must see Klute! It is one of my favorites, and besides being a marvelous movie, it is such a microcosm of the era in mood, dress, music, etc. Yes, this is a film we all should see — twice. In a time where print journalism is becoming a rarity, along with the professionals who practice it, we need films like this — and Spotlight — to remind us of its importance in a Democracy. Freedom of speech without a vibrant free press is a shallow promise. You bet! President’s Men and Spotlight show us the grinding hours journalists spend in uncovering the truth. These films make me wonder how many news organizations these days are able to support the time it takes to uncover big, dangerous stories. The Washington Post and the Boston Globe certainly had the managerial and financial patience for these exposés. Oh, I know this one! I’m another one who saw this at the cinema on release – I remember finding the story rather hard to follow but being gripped by it. And great to see a portrayal of investigative journalism at its best, in a world where print journalism is increasingly under threat, as ChgoJohn says above. Great piece, Ruth – I will need to revisit this one soon. Loved your take on this classic. And that overheard shot–wow! That’s quite a shot, isn’t it? Overwhelming, but also beautiful in a way. This was a great choice for the blogathon, indeed how important words can be when they are splashed on the headlines of a newspaper and accuse a U.S President of malfeasance. We’ve come a long way in politics (maybe downhill) since then. In making this movie the art director actually photographed the interior of the Washington Post offices – and recreated them, stacks of papers and phonebooks and everything. What a movie! And soon to be screened at the TCM Classic FF. Super review. I haven’t seen this one, but you really capture the feeling of tension of the film. And that overhead shot – so striking! 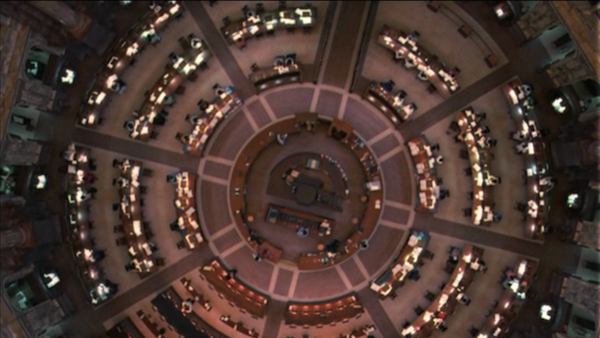 Yes, that overhead shot at the Library of Congress is breathtaking, isn’t it? Brilliant, really. I never would have thought of it.